It’s been 18.5 years since I first became professionally involved in filmmaking. I’ve spent a great deal of time working with technical aspects of filmmaking – scripting, filming, editing, etc. – but these things are behind me now. Everything beyond this point is beyond my experience as a filmmaker. Finishing a film is one thing, but finding an audience is quite another. I’ve never been involved in impact, sales, marketing, distribution, or the festival circuit. It’s a labyrinthine world, and unless you enter it with a very clear sense of direction, it’s only too easy to lose your way. I’ve spent the past two months trying to understand that world as best I can, and asking myself innocent little questions with incredibly complex answers. What do you want for your film, and why? What are your impact goals, and how will you achieve them? What kind of distribution model will work best for your film? What kind of audiences are you aiming for? Will you merely be preaching to the choir, or can you find a way to reach beyond them, to the people who most need to hear your message? Do you want awards? Recognition? Opportunities for future projects? Some cute little laurels to put on your poster? Film festivals are the traditional starting point when sending an independent film out into the world – but festivals are a very complex, competitive world in themselves. There are literally thousands of film festivals around the world. Some of them are huge, and some are tiny. Over the past two months, I’ve painstakingly constructed a dizzying database of film festivals, all sorted and colour-coded, with endless annotations and cutoff dates. I’ve identified 191 festivals which could potentially work best with ‘Sisters For Sale’ – and that’s still far, far too many. Submission fees to reputable festivals average around $50, and climb to around $160. That’s around $10,000 in fees alone – which, needless to say, is far beyond my festival budget. With no guarantees of acceptance, entering festivals becomes a form of educated gambling. You can’t back every horse – so, which will you choose? I’ve been gradually whittling down my list of festivals to a far more realistic figure. It’s an ongoing process that involves long days of research, and more tough questions. How good do you think your film is? Which festivals will it best fit with? I see ‘Sisters For Sale’ as a strong film – but that doesn’t make it a good match for every festival. 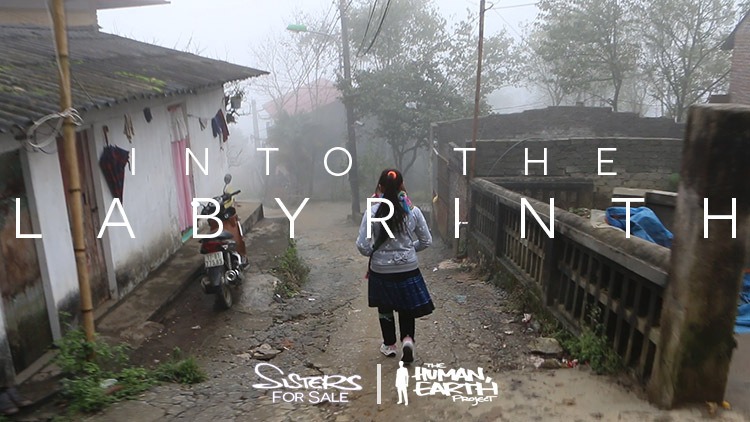 While I’ve been working on ‘Sisters For Sale’, countless other filmmakers around the world have been working on their own films. We all think our babies are special, and important, and adorable. Ultimately, it’s the entry judges who will decide. Sometimes the odds are long – Sundance, for example, rejects around 99% of submitted films, but acceptance can make all the difference for your film. Which risks can I afford to take, and which opportunities am I willing to cut myself out of? Then there’s the tangle of premieres (world, international, continent, region, city) demanded by festivals. Whichever possibilities you choose will disqualify you from others – and with none of your submissions guaranteed to succeed, you need a plan B, and C, and D.
Each of the festivals has not one but several ticking deadlines – earlybird, regular, late, final – each with its own pricing. Should you send your film in early and incomplete, before the festival program fills up? Or should you send a later, more polished version, and pay double? Each festival has its own terms and conditions, and many seem ideal until you read the fine print. Some have obligatory attendance, on the other side of the world. Some demand the rights to unlimited screenings, sometimes for years. Some of the festivals are very broad, in terms of form, content and audience. Some are incredibly specific – there are entire film festivals dedicated to cats, or horses, for example. There are many Asian- and female-themed festivals, which will have ideal audiences for ‘Sisters For Sale’ – but as a Caucasian male director, my work is excluded from almost all of them. For the few that will accept my work – will they even give serious consideration to ‘Sisters For Sale’, or will they merely take my entry fee? Then there’s the question, should you even bother with festivals at all? There are other emerging possibilities for independent filmmakers. There are success stories of those who have sidestepped the festival scene and chosen not to be dependent on traditional distribution routes. While it’s an idea which appeals to my rebellious side, it can demand literally years more work, in the areas which appeal to me least: fundraising, organisation, promotion. I’ve now submitted ‘Sisters For Sale’ to a series of film festivals, and recently received my first response – a rejection. It seems the deciding factor was that the judges simply didn’t believe that the events of the film were real, or even possible. I have nothing to offer besides the video evidence. In the same week, I also received a regional distribution offer from a major television network – which is very encouraging, since it’s not something I’d even started looking for. Some of you have been asking for the current status of the film, and when it will be made available. It’s still waiting on music and a final sound mix, which we’re now hard at work on (more details shortly!). The timing of the release will depend on its festival premiere dates, none of which have yet been confirmed. Sharing the film earlier will disqualify it from being shown at festivals.